Cebu Pacific, Manila to Australia One Way Fare Promo. 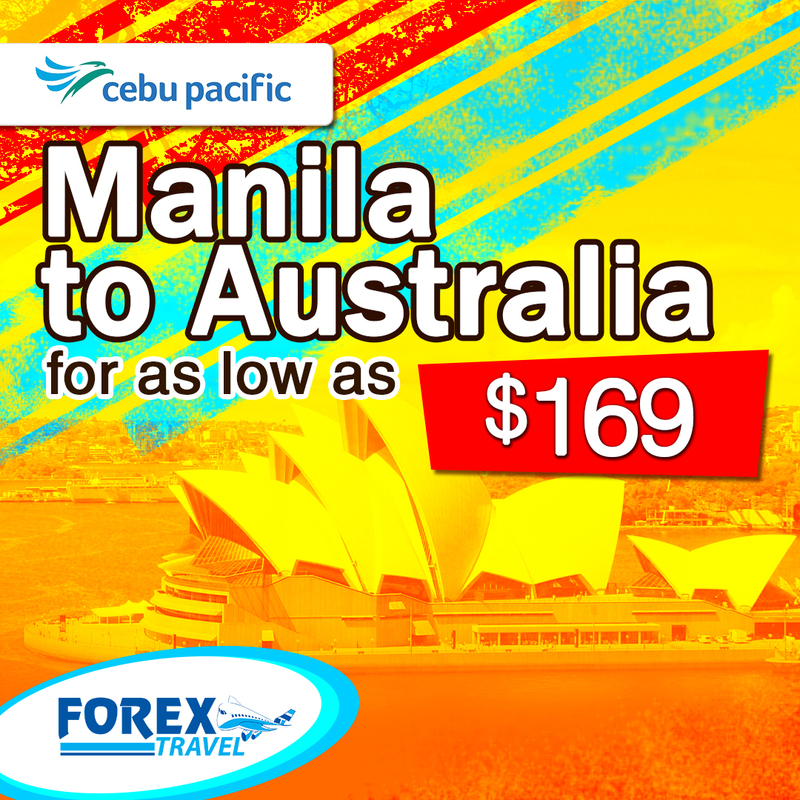 Cebu Pacific Manila to Sydney and Manila to Melbourne One Way Fare Promo. Act now, limited seats available! - Rebooking is allowed up to 4 hours before the estimated time of departure (ETD), subject to availability and payment of all applicable fees and fare difference. - Fare, fuel surcharge, taxes/passenger service charge and fees will be considered flown when rebooking is made within 4 hours from the ETD and any time after the ETD. - Fare downgrade is not permitted. Call Forextravel at +61 2 87770060 or email us at reservations@forextravel.com.au. The Forex Organization has been at the forefront of the Remittance and Cargo service world since the early 80’s. Wherever in the World Filipinos are, they have come to know Forex as the name they can trust.